Well, that about wrapped up the trilogy. It was a good read in many ways, visceral, but also tended to incoherence. Especially in the third book, the author changed POV, tense, and between first, third and even second person like he had a belly full of shrooms. That said, many of the ideas he used had been tried before, but not in so alien and bizarre stylistically. If you like SF that focuses on internal dialogue over external events, than this is the book/ series for you. If you're more of a sequential thinker, maybe read Asimov instead. 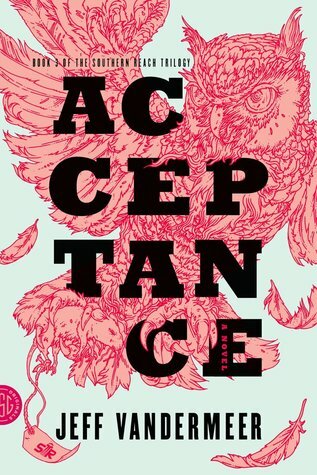 Sign into Goodreads to see if any of your friends have read Acceptance.